The Innovator is a high performance chassis with a minimal style planshape pulled in through the tail section for control and maneuverability in steeper parts of the wave. 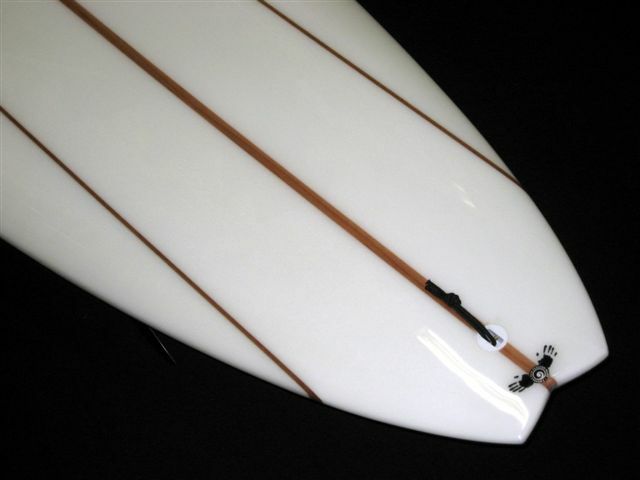 While it is certainly a lot of “fun” to ride, this design is capable of high performance turns when the waves turn on. With generous tail rocker and a full concave bottom, the Innovator is fast, responsive and well behaved in steeper more challenging waves than you would normally expect to ride with a “Mini Mal”. Also available as Round and Round Square tails. Width: 20 ½" – 22"